Console is our new mixer and modular effects rack, designed to give you full control over your instrument tone and space. Unlike our previous FX racks, which were limited to a small amount of preset modules, Console gives you 30 effects modules to choose from! These include multiple EQs (digital and analog-style), compressors, spatial FX, modulation FX, amps, distortion pedals, reverbs, and a selection of over 30 custom cabinet IRs! Using Console, you can easily save and load FX chains or presets between projects or even different Console-enabled ISW instruments. 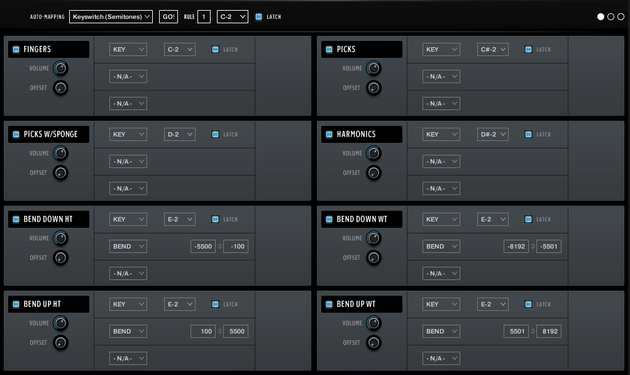 It also allows you to mix and blend between mic positions, with custom inserts on each if you’d like. – Download the Console manual here to learn more! 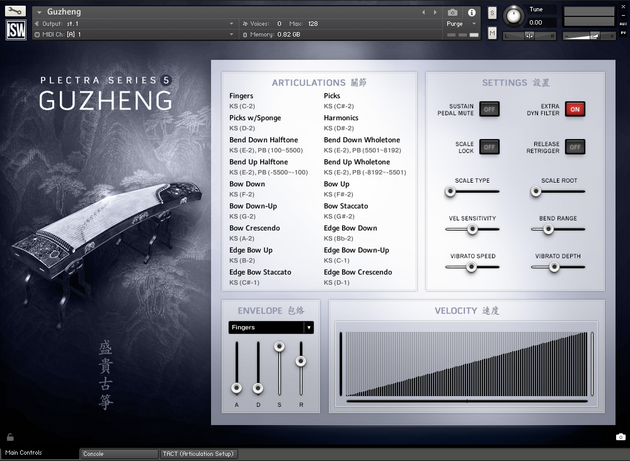 Plectra Series 5 – Guzheng includes an updated version of TACT, allowing you to customize how all articulations are mapped and triggered! Everyone has their own preferences for how to perform or write for virtual instruments, and with TACT you can create the perfect setup for your DAW. – Download the TACT 2.0 manual here to learn more! • 14.580 x 24-Bit Recordings W/3 Mic Positions. • Up To 4x Dynamics/3x RR Per Key. • Finger Plucked And picked Techniques. • Harmonics And Bends (Whole/Semitone). • Up/Down Bows And Crescendos. • Edge Bows, Staccatos, Sponge Picks. 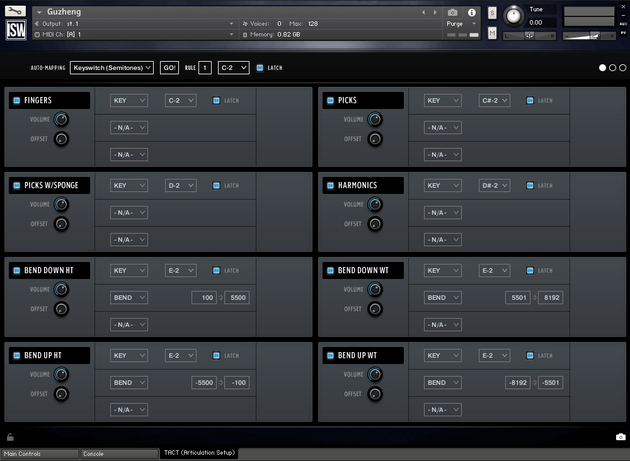 • Beautiful Wide UI For Kontakt 5.7. • Fully Customizable Mapping W/TACT 2.0. • Console Modular Mixer And FX Rack. 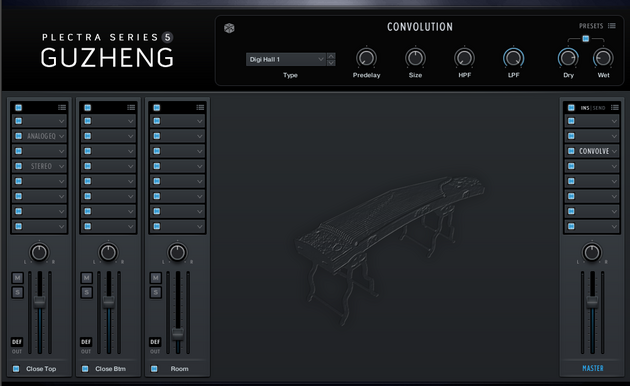 • Includes Over 30 FX Modules. 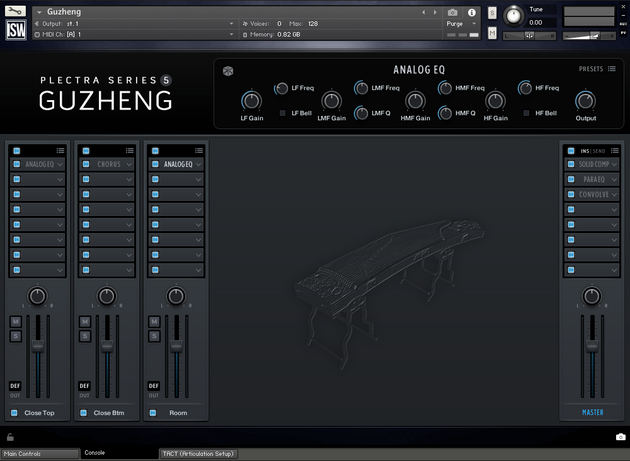 • Below Are Required And Recommended System Specs For Plectra Series 5 – Guzheng. • Native Instruments Kontakt 5.7 (Full Version – NOT Player) Required. • Requires 10 GB Disk Space. • 4GB Of RAM Recommended.